I absolutely love my recent kitchen shelf makeover. I now have the extra cabinet space that I desperately needed. Since I removed my cookbooks from the shelves to make room for my dishware, I needed to come up with a creative storage solution for them as well. ...and I remembered that I had purchased a small hanging shelf at the local Goodwill store sometime last year. 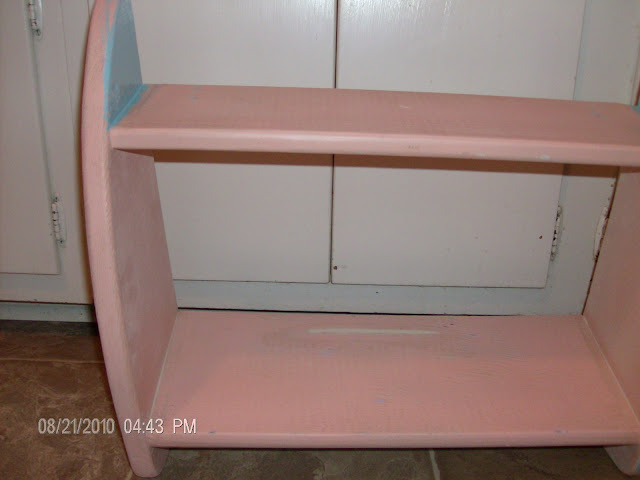 I'm always on the lookout for inexpensive storage solutions and even though it was painted pink and blue, it was well constructed and a steal at $2. So home with me it came and has been patiently waiting for some TLC to make it beautiful and useful once again. 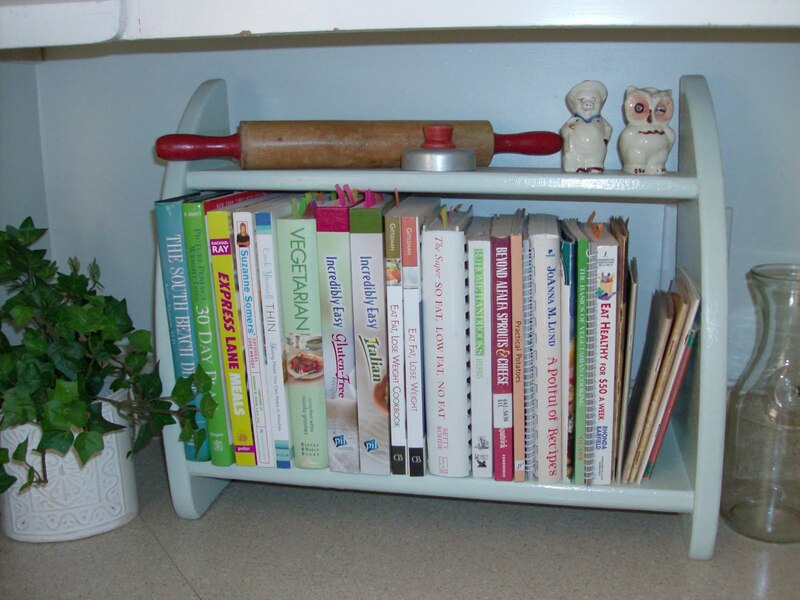 I knew it would be the perfect solution for my cookbook storage problem! 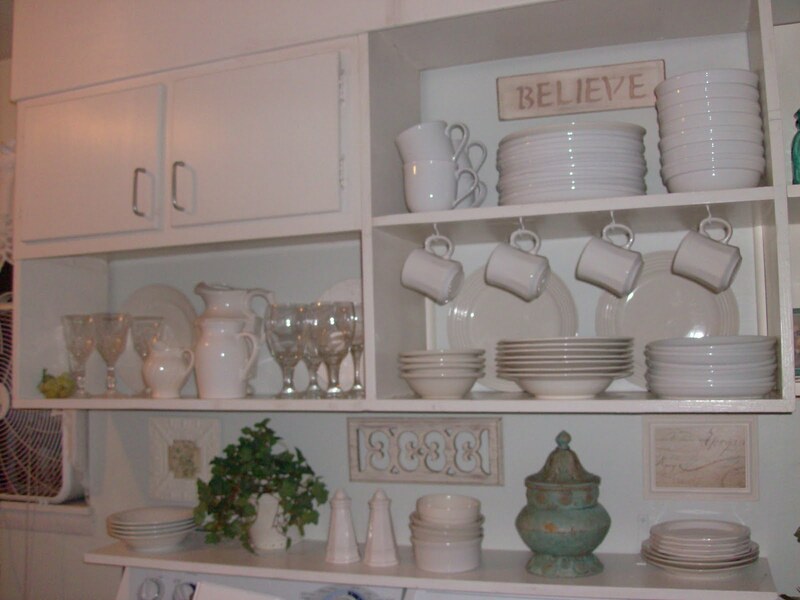 I could place the shelf on the counter which would help keep my cookbooks clean and dry. There was only one problem. The shelf was designed to be hung on the wall and the bottom "feet" of the shelf were curved not flat. Easy enough to fix! 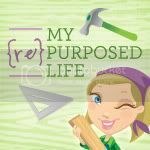 I simply measured and marked a straight line horizontally across the bottom of the side panel and then cut off a couple of inches with my Miter saw, taking off the curvature and resulting in a flat bottom edge! Voila! It would now sit flush on the counter. The next thing to do was to get rid of the baby pink and blue color palette by transforming it with a little paint. A few weeks earlier I had bought an almost full gallon of Behr's paint in a light green glossy finish at a neighbor's yard sale for only $1. I thought that the color would go nicely with my kitchen's light turquoise walls so I lightly sanded the shelf and then added a coat of the new color and it looks wonderful. Now half of my cookbooks have a new home, so the hunt is on for more cookbook storage. I love the little shelf at the top where I can display my Aunt Ida's rolling pin and biscuit cutter that she used to make the most delicious, light and fluffy biscuits. There is also room on top to display my Mother's favorite salt and pepper shakers. Just having these items close by helps to make the space feel more inviting and who knows, maybe I will be a little more inspired now to cook more often!